Wellington, FL – October 19, 2015 – The Equestrian Sport Productions Fall Series has hosted two successful horse shows and will continue this week with the Fall III show on October 23-25, 2015. There are four events remaining in the Fall Series, including two shows with $25,000 USEF Ranking List Grand Prix classes. The Fall II Show finished on October 18, and the winner of the $10,000 Open Jumper Stake was Alexandra Crown on Verona, who posted the only clear round over a course designed by Hector Loyola. Crown also placed second on Von Cim, while Allen Nabors on Caesar 322 finished third. The Fall III Horse Show (Oct. 23-25) and Fall Finale Horse Show (Oct. 30 – Nov. 1) are both National “A” Rated Hunter and Jumper 3* rated events. 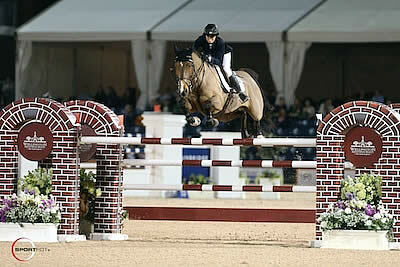 Both feature $10,000 Open Stake Classes on Friday and a $25,000 USEF Ranking List Grand Prix. The ESP November Horse Show (Nov. 7-8, Final Point Show for Palm Beach County Horseman’s Association) and the ESP Pre-Charity Horse Show (Nov. 14-15) are both Regional II and Jumper 2* rated. The horse shows of the 2015 ESP Fall Series are all United States Equestrian Federation (USEF), North American League (NAL), and Marshall & Sterling League (M&S) approved. Shows feature an early stall discount of $30 per stall (see details in prize list). A $10,000 Open Jumper Stake class will be held at all shows as well as $500 Pony and Hunter Classics. 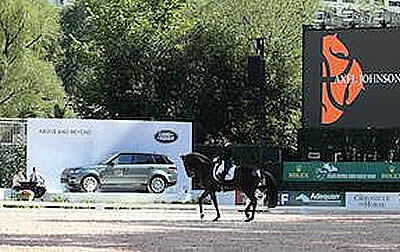 All shows will also highlight great competition for child, junior and amateur jumpers, including Classics. To view the prize list and for more information, please visit www.pbiec.com. Please visit www.pbiec.com or call 561-793-5867 for more information.